Brace your selves for a frank and honest conversation with CXPA fellow member, CX specialist and Author of “Customer What?” Ian Golding. Joining us live from Chester in the United Kingdom, Ian will share with us his view on Why Organisations Fail to Create a Sustainable CX Framework. For several years Ian has been part of a “Tidal Wave” of focus on Customer Experience, observing businesses as they recognise doing the right thing and managing experiences might make sense. But despite this focus, customers continue to be on the receiving end of inconsistent, uninspiring, and often sub-standard experiences. Why? Because customer experience is not a quick fix, and most organisations fail to create a sustainable framework. Please join the CXPA Melbourne Network for this after work event, light refreshments and drinks will be served over the breath-taking views of the IBM Studios at Southbank. Ian Golding, is a Certified Customer Experience Professional and Customer Experience Specialist. A certified Lean Six Sigma Master Black Belt, Ian has spent over twenty years in business improvement, working hard to ensure that the businesses he works for are as customer focused as possible. In 2012, he became an independent consultant, delivering projects in the automotive, financial services, logistics and utilities industries. Ian has continued to work with a plethora of businesses across several sectors, including the Pharmaceutical, retail, manufacturing, education and technology industries. Ian has published over 300 articles on the subject and delivered keynote speeches globally. Ian also served on the inaugural board of Directors of the Customer Experience Professionals Association (CXPA), of which he was a founder member. 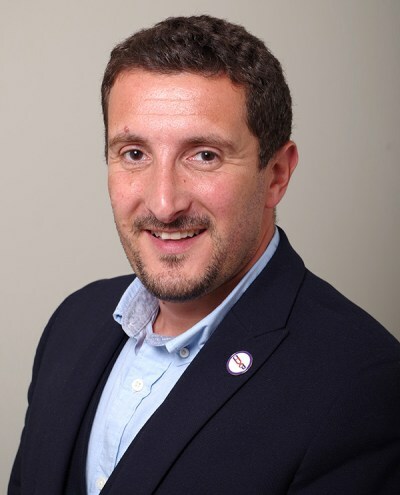 Ian was also the first person in the world to be authorised by the CXPA to teach the Certified Customer Experience Professional (CCXP) accreditation. In 2015, Ian became an Advisor and featured columnist for CustomerThink – a global online community of business leaders striving to create profitable customer-centric enterprises. The site serves 80,000+ visitors per month from 200 countries.